First let me say hello to all the members! 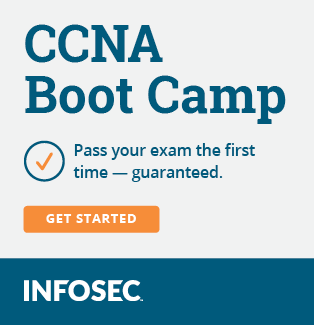 I am completely new to the Cisco world, I just finished my CompTIA A+ 701/702, and I am now studying for the CompTIA Network+. I have always been fascinated by the Cisco Products and the inter workings of the Internet, Computers & Networking in general, So being that the school I attend is an authorized Cisco Training Center, I am not in that class yet, but I thought I might as well start creating a Home Lab now, get a few books and get a jump on studying and learning about Cisco. In the process of building my Home Lab I have come up with some questions that I have not easily found answers too(I did read the sticky's and FAQ). A note about the sticky's some of those post are 6 to 7 years old, it might be time to look at updating some of that information. First, What is the real difference between the WIC-2T and the WIC-2A/S and why should I choose one over the other? For my lab unit I no intention of using the HD-60/WIC-1T, this seems like old stuff that is being phased out, plus the Smart Serial Cable seems like a better design. Now I have listed the equipment for 2 reasons to get opinions about what is there, what should be add, dropped, changed etc. And I would like to know what cables I should get to go with the labs, I already order (3) Smart Serial, I have (10) Cat 5 Straight Through on hand and I will make (2) Cat 5 Cross-over cables, as I have seen that most of the kits come with two of those. As you can see from the Panel I will have a Console Cable connected to each unit permanently and have easy access to each units serial interface from the front of the Lab Rack Panel, like I said I am a bit OCD. With your minor case of OCD you should fit in here just fine. I order the Cisco Kits - CCNA Study Kit, and I think I will get the Cisco Press CCNA 1 & 2 book next. First, What is the real difference between the WIC-2T and the WIC-2A/S and why should I choose one over the other? The OP's lab seems like a good start if those 2600's are XMs. I'm a newb with Cisco stuff too, and I've just started going throught the Cisco CCENT book. But the only thing I would say is you could do with an access server 2511RJ or 2509RJ that way you wouldn't have to switch the console cable over each time, though your solution is ingenius and deserves credit too! If you go with GNS3 over time you'll probably won't need an access server or the routers but that'll depend on whether you want a physical or virtual lab setup. I think a physical lab is good when you are starting out but as you get more experienced GNS3 is the way to go for most Cisco paths. And a lot of people (like me) use both. Wow that Cisco Access Server 2511 RJ, is pretty cool, I had never even seen that, but I must say my way was WAYyyyy cheaper, the panel I had made was only 57.oo$ shipped. Though not as cool as that access server. Well if that's the case then you might want to ask the admins to remove the "g33k" rating under your name/handle. Doh! NM-16A in one of your 2600s and some octals and you'll be running smooth. your set up is cheaper, but that's the way to go if your OCD. Plus it saves you from having to have a 2500 series in your rack. All mine are 2600XMs with one 3800 acting as my powerhouse. No 2500 series in my rack those look like junk to me, all mine are XMs also (w/ max RAM & Flash). But I have to ask what is an Octal. Only thing I have seen that one is the 2950 switches that have that Centronics type port on the back to 'stack' more 2950's, remember I said I am new to all this. An octal cable is for a Cisco 25xx access server router. There are also models that use rollover cables instead of the octal. And I know they seem ancient and uncool, but 2500's have some versatile models that let you simulate large frame clouds, have an access server, and can run up to 12.3 if maxed out. They're a heck of a bargain, but of course none of them are powerful enough to be your first line routers. But your first line routers won't care that they're connecting to a lowly Cisco 2520 running a frame relay cloud. Yes, frame relay is becoming less popular in the real world. But Cisco still tests heavily on it, so we all still need to know it for now. And there is the flip side where real world scenarios present old school challenges such as small branch offices that still use ISDN as a backup. 2500 ISDN routers are dirt cheap (although an ISDN simulator isn't). I'm going to stop now before it gets too obvious how really ancient I am. Anyhow, good luck with your lab. btw, those ports on the back of the Cat2950s are for redundant power supplies. I was born in the 70's so I'm permitted to use it, but next time I'll include a [/sarcasm] tag. Yeah, well if being born in the 70's means you can use l33t speak, then I must be even more entitled, as I was born in the late 60's! See this is the type of post I need, you kinda gotta spell it out for me, I have never really played with much of this stuff, everything I learn in the last few weeks about building a home lab I learned from reading post and sticky's here, and looking at the kits offered on CiscoKits as well as eBay. I assume that you are referring to the Molex style connector on the back when you talk about the redundant power supply connector, what i was talking about on the back of some of the 2950 Catalyst Switches looks like a Centronics printer port, it is pictured in the 2950 manual, and it refers to a Octal/Stack-able port/cable. I would love to see them (and anyone else that would like to post a photo of their home lab), that is how I got alot of the information about how to build my lab, was looking at labs that people had for sale on eBay, Ciscokits, and other sources. I should have a finished picture of mine up next week, just finished the power wiring last night, waiting on the RAM upgrades to show and of course the new Console Port Panel (plus a couple of the WIC-2A/S cards).